ProdID: 6282 - Dragon Knight #1: Fire! 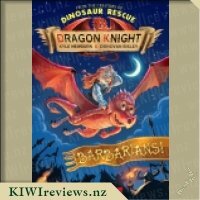 Rating: 10.0 Dragon Knight #6: Barbarians! 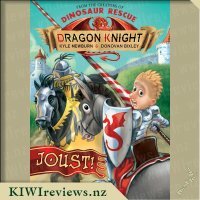 Rating: 9.8 Dragon Knight #5: Joust! Rating: 9.6 Dragon Knight #3: Witch! 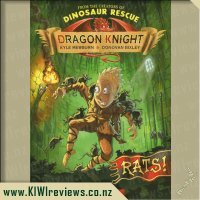 Rating: 7.3 Dragon Knight #2: Rats! Rating: 9.5 Dragon Knight #4: Dragons! Being a lover of Dragons I was so excited to read a book which explained their DNA and also the fact they have the ability to change into a human. It was fun and exciting. It was so informative and broke down facts about dragons, ogres, witches and other nasty things. It has random tidbits throughout the story and maps of various areas/items. I really enjoyed this. It was light hearted enough and although aimed at children had enough of a story to keep adults occupied with it. The pictures are awesome and although in black and white they are beauifully done and have the abilty to add to the story. I had planned to read to the girls and my idea was to read a chapter to make sure it would be okay, but found I had finished the book on my own because I wanted to know what would happen next. 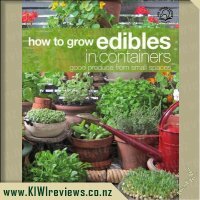 When I received this book my eldest daughter was so excited and could not wait to start reading it. I had put on my bedside table and had actually forgotten about it. So this morning while cleaning I came upon it and sat down to read a little bit of it and less than an hour later had it finished. I definitely am intrigued as to what will happen next. 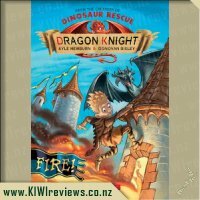 Very keen to continue with the Dragon Knight adventures. I am sure the girls are going to like just as much as me and at least when they start asking questions about various facts I am lucky as there are so many answers through out the pages that I am sure all basis will be covered. We enjoyed reading the second book in this series "Rats"so much that I was excited to have the opportunity to read this first book in the Dragon Knight series "Fire". 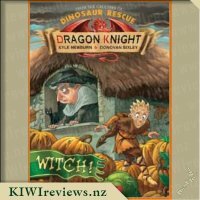 This series follows the very successful Dinosaur Rescue series which was also a collaboration between Kyle Mewburn and Donovan Bixley. I found the Dinosaur Rescue series a little too gross for my tastes but this new series is brilliant. 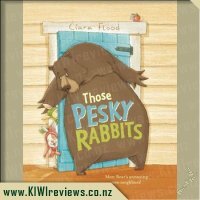 My Miss Four and Miss Seven really enjoyed this book. They both love dragons and the concept of a shapeshifter dragon that changes into a boy quite tickles their fancy. They may have preferred a princess or two to be rescued (hint for book three....) but on the whole found this book quite funny. The chapters are quite long so I read a few pages of a chapter each night. I would have preferred shorter chapters I think as it is good to be able to break a story down and be able to say &apos;" I&apos;ll read one chapter" We did really enjoy the illustrations and as always we loved the little fact boxes ie The top 3 reasons most people don&apos;t live in swamps. These do break up the story and provided us with some chuckles. Overall I think these books will appeal hugely to young boys but with the addition of a princess could just as easily become a huge hit with medieval loving girls that want a bit more action that they get from Disney princesses! Definitely a great series to check out and great value at $10 a book. When the Dragon Knight series was hinted at, we could not wait to see the books. Over the months Mewburn and Bixley have hinted and teased as to what we might have in store for us. My eldest daughter and I are huge fans of the Dinosaur Rescue books, though I found reading them difficult while pregnant (my stomach didn&apos;t like the well described and often revolting bodily fluids humour). So we were very pleased to see these books hitting book stores and quickly too. 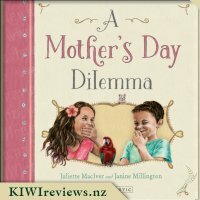 This was not a review good, but was purchased for my daughter&apos;s birthday as she was lucky enough to win the second book. I wanted to make sure we read the books in order, as well as support the powerhouse that is Mewburn and Bixley. Seriously though, this book is $10 - and it was easy to part with that money to add this to our collection. This book is an introduction to Merek, a shape shifting dragon who wants to be a knight. As a base intro, it does a great job. You get to know him and his family. You understand what it is like for them, trying to pass for humans. You also get a look at the main characters, including allies and sworn enemies for Merek. If you are familiar with the Dinosaur Rescue books, the layout and formatting will not come as a surprise. 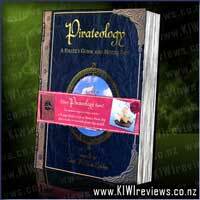 Sprinkled throughout the book are pieces of "Medieval Trivia" on various topics. This helps break up the tension in the story and re-direct to something funny. It also helps to flesh out a concept or two that is hinted at in the body of the story. They are often funny and don&apos;t hold closely to fact, though my daughter does nod solemnly at these "educational" extras. The illustrations are Bixley&apos;s familiar style. While inside they are all black and white, this didn&apos;t stop my daughter asking me to "stop!" turning the page before she had a chance to study each picture and ask a lot of questions about the dragons and other creatures in the book. There are a few reveals that didn&apos;t surprise us, but one reveal did surprise my daughter a lot. It also delighted her and she can&apos;t wait to see that character in action in future books. After finishing this book tonight, my daughter asked very sweetly if I would read a chapter of "Rats" as well, which I did. She was disappointed when I only did the one chapter. I&apos;m actually a bit worried about what happens when we run out. Please print more ASAP, in the meantime I can see myself re-reading this book! I had been reading this book to my son at night before bed time. 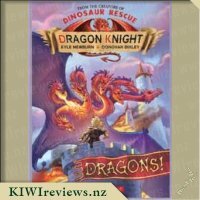 At times I found it a little hard to follow when they had random pages chucked in describing different types of dragons etc, but apart from that, it was a well written story line and my son enjoyed it. I liked how it was a adventurous story with lots of detail. my son enjoyed it as it was about dragons and he loves dragons. I did notice one or two spelling mistakes where a word was repeated twice unless I was reading it wrong and didn&apos;t pick up what it was they were trying to say but I do think it was just a simple spelling mistake. I also liked how I didn&apos;t know what was coming next, it was not a story where you could predict the outcome, I found my self reading a extra chapter to myself even after my son had fallen to sleep as I was interested to see what happened next for the dragon boy. 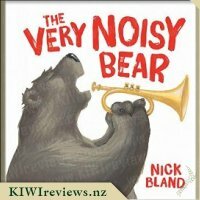 it was overall a good read and my son and I both enjoyed the storyline and the pictures were nicely drawn and illustrated. thanks for the opportunity to read the book. I don&apos;t often have time for reading, let alone reading kids books, so for me to make the time to read something like this means it has to have something special in it. It&apos;s called "a decent plot" which is something a lot of &apos;popular&apos; kids books are lacking these days. When you add in Donovan Bixley&apos;s always-impressive artwork, you have something special, guaranteed. 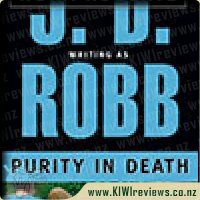 While the plot is hardly high-fiction, it&apos;s got plenty of detail, some good pace, well defined characters, and a clean ending that closes off this story, without sealing it off from an ongoing saga... which is great since the second book has just come out! I find myself looking forward to getting the time to read it too, as some nice &apos;light&apos; reading. The artwork is perfect for the story, Donovan has created characters that fit their plot parts perfectly - the dragons still have that element of &apos;sharpness&apos; to their features in when in human form, and the transformation sequences are great. I&apos;d love to see a similar series illustrated by Donovan where he does werewolf transitions. My only slight gripe is that while the black and white ink drawings are great, I think some of the scenes would be stunning in colour. I only hope the series performs well enough that the publishers consider doing for this what they did with the far-less-appealing Captain Underpants series, and re-releasing them in full colour at some stage. Overall, this is a great book for kids, and though my 6yr old wasn&apos;t up to the challenge of reading the big chapters himself, he loved sitting in his bed while I read a half-dozen pages, give or take, to him each night. He always asked me to pause so he could check out the pictures and tell me how he saw them relating to the story at that stage, or guessing how the story was going to progress based on the pictures if we got to them first. Another excellent addition to any youngster&apos;s bedroom library. I was keen to read this ever since seeing on Donovan Bixley&apos;s facebook page that they were working on a new book series, and getting teasers of the art made me more interested in seeing the final book. My kids had really enjoyed the Dinosaur Rescue books, until one of the characters was mean just for being mean and they no longer wanted to read the series, but I thought it would be worth trying out the new series. 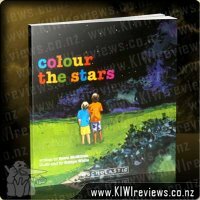 The cover really catches my attention and feels nice and glossy, it certainly caught my kids eyes with all three of them pulling it out of the box and having a great flip through it. Merek is a dragon, not that you&apos;d know it given that he can transform between dragon and human form, without giving anything away, I do like everything that he can do and I enjoyed the fact that they gave us a bit of family history without going crazy. I really liked the illustrations in this book and I enjoyed the moments of humor. It looks like there may be at least one strong female character in this book, which I&apos;m happy about because the kids, both male and female, need it in their books. The illustrations and the feel of the book in my hand are certainly what grabbed my attention, the story itself is fun (not one that I would read multiple times, but it&apos;s not aimed at me...) and given the kids are giving the book some great attention, I know they&apos;re going to enjoy it. I was first drawn to this book when I saw it in the Scholastic Book Club and I knew that it would be right up my son&apos;s alley - shape-shifting Dragons and sword-wielding Knights sounds like a great idea for a book. The story begins with the main character, Merek, in a rather precarious position and then goes on to tell the story of how he got himself into such a mess - it&apos;s fast paced, action packed and full of humour. 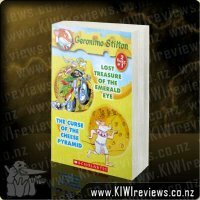 The book is set in Medieval times and in keeping with that uses a lot of medieval terminology which is great and while it can lead to some interesting discussion, it can also be a bit frustrating and I found that parts of the book didn&apos;t hold my son&apos;s attention all that well because of the need to decipher some of the language. 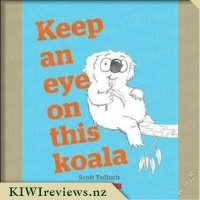 The chapters are long and there are a lot of words on each page - the black and white illustrations are wonderfully detailed and really add to the story. We really enjoyed looking at the map of the castle and all the other 2 page spreads depicting some of the different types of dragons, castle dogs and common knight school injuries - these extra details really added to the comedic side of the story and had my son laughing out loud on several occasions. I love the glossy cover and the pages feel quite thick - definitely a good quality book that should stand up to little fingers. I have already ordered the next book in the series and we can&apos;t wait to see what mischief Merek will get up to next.